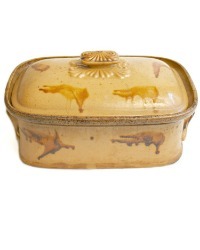 Antique French Country Pottery Tureen, Yellow "terre vernissée", hand potted and decorated, fired in a kiln. Dates to the late 19th century, 1880. 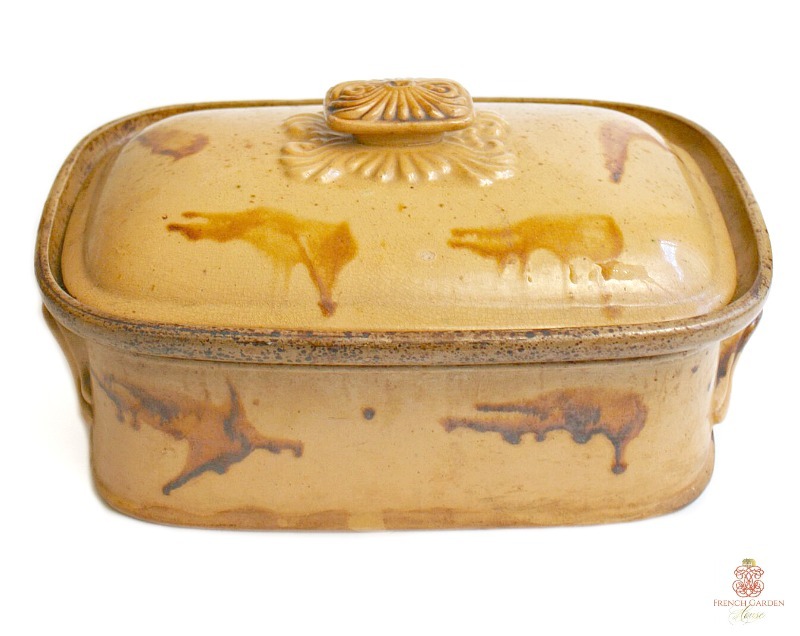 Part of the Alsatian culinary history, decorative tureens like this were made for cooking the famous "baeckoffe" which means "baker's oven" in Alsatian dialect. The region in France around Elzas is famous for its Country French pottery, simple pots and pitchers provided decades of daily use. 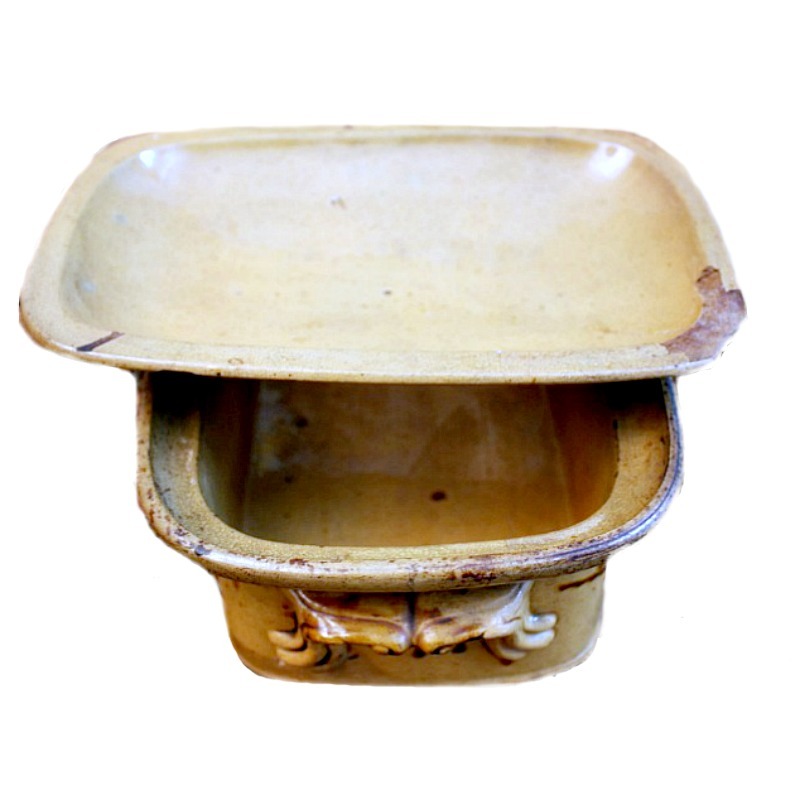 Has patina, wear, and everything you want from a 19th century piece of French Pottery. 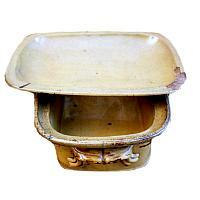 Rare to find in this size, a fabulous addition to your collection, display with your antique majolica, your confit pots, divine. Containing a mix of potatoes, mutton, beef, pork and vegetables marinated overnight in white wine and juniper berries, farmer's wives would drop off the tureen at the village bakery on Monday morning to be "baked". Monday was wash day, and French country women did not have time to cook, so this was their form of "take out!" This useful antique from 1880 has a chip on the underside of the lid. Measures 9-7/8" x 6-1/2" x 5-1/2".